Another tasty dinner set by the pool under the moon at its brightest! 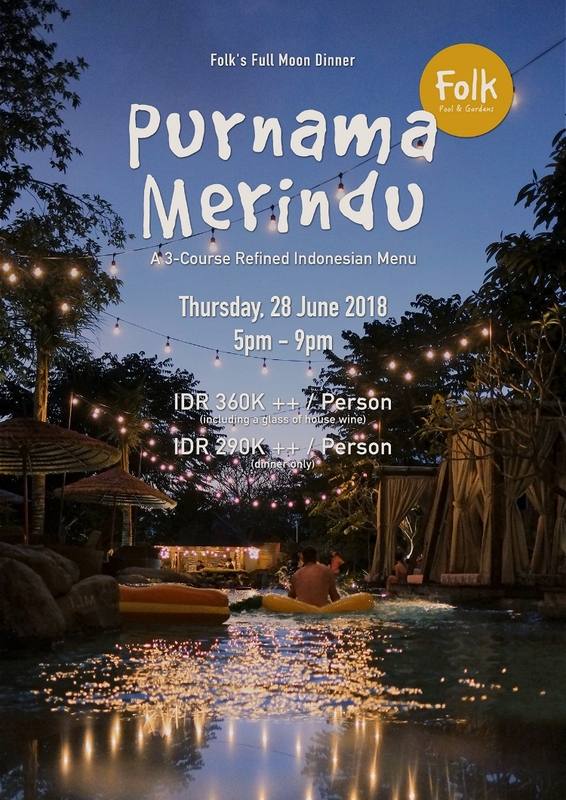 Our Happy Chef, Roy Qira, presents you a three course elevated Indonesian dinner with most produce sourced from Bali’s own pastures and oceans. Join Folk team for a poolside dining experience under Ubud sky, the local way. Enjoy your full moon evening in Ubud.